Welcome back to FanDuel Picks Week 12, your one-stop shop for the best daily fantasy football advice. Low priced wide receivers, man. They are going to be the death of me and my aspirations for finishing first again this DFS season. With another solid all around week (except for those f****ng cheap wideouts), RSJ hopefully helped you get into the FanDuel green Week 11. Standout studs T.Y. Hilton (32 FanDuel points), Drew Brees (30.52), and Ezekiel Elliott (29.60) helped push our scores up the standings, while low priced breakouts Josh Adams (14.7) and Vance McDonald (10.2) helped stabilize the roster. With a much shorter slate than usual with 3 Thanksgiving games, hopefully this can be the week the low priced wideouts start pulling their weight, so let’s get right to the FanDuel Week 12 picks. As a note, these picks are based on Sunday only leagues, so players on Thursday, Sunday night, and Monday night will be ignored. Russell Wilson, QB, Seattle Seahawks ($7,700) – With a streak of 6 games with multiple touchdown passes and at least 18 FanDuel points, Russell Wilson appears to be in a great spot Sunday against a Carolina defense allowing the sixth most points to opposing quarterbacks. Both teams seasons are coming to a head in these final 6 weeks, as both teams are teetering on the NFC wild card cut line. Look for Seattle to put its season in the hands of its veteran Super Bowl winning quarterback when it matters most. Lamar Jackson, QB, Baltimore Ravens ($7,400) – Bursting at the seams with QB1 upside against the Oakland Raiders, Lamar Jackson could absolutely manhandle a pathetic Raider defense that has allowed multiple touchdowns passes in every game except one this season. Jackson proved in his debut the running QB is still alive and well, racking up 117 rushing yards on a whopping 27 carries. However, do not be fooled by those numbers as his efficiency in the passing game (13/19 for 150 yards) make him quite the deadly dual threat. Melvin Gordon, RB, Los Angeles Chargers ($8,900) – Game scripts will always play a large part in my daily fantasy life. On Sunday, the Chargers play host to the Arizona Cardinals in a game with the highest point spread (12 points). So with LA playing in front all Sunday afternoon, look for them to rely on their workhorse running back, Melvin Gordon. Gordon has either scored a touchdown or compiled 150 total yards of offense in every game this season, so with an increased volume he should have no problem tearing apart an Arizona defense allowing the third most rushing touchdowns and fourth most fantasy points and rushing yards per game to opposing running backs. Nick Chubb, RB, Cleveland Browns ($7,500) – We shot Nick Chubb to the Moon once the Browns traded Carlos Hyde. And boy has the rookie stud impress since Hyde’s Week 6 departure from Cleveland. 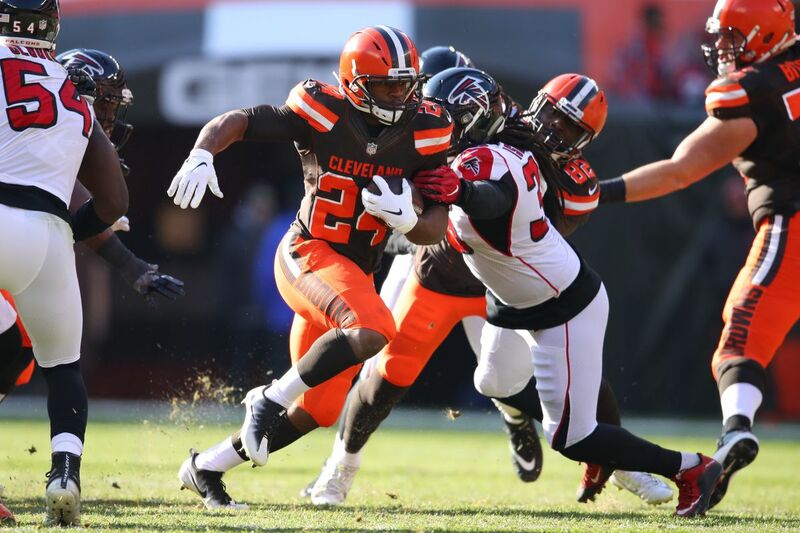 In the four games started by Chubb, he has performed as a true bell-cow running back, receiving no less than 20 touches in each game, running for less than 80 yards just once, and scoring a touchdown per game on average. In Week 12, Cleveland travels to Cincinnati to face a Bengals defense allowing the most yards per game, the second most fantasy points, and the third most yards per carry to opposing running backs. Josh Adams, RB, Philadelphia Eagles ($5,700) – I do not like “I told you so”‘s. They are just cheap, and really accomplish nothing…………But I told you so. With his bottom-of-the-barrel price of $4,500 Week 11, Josh Adams profiled as the steal of DFS Week 11, and hopefully you listened as the rookie totaled 72 yards on 10 touches with a touchdown, good for 14.7 FanDuel points. 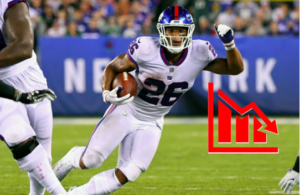 In Week 12, Adams faces a Giants defense ranking in the bottom third of the NFL in terms of touchdowns allowed and yards allowed per game to opposing running backs. Projected as a 6 point home favorite, Adams will likely get much more touches with a positive game script as he looks to strength his stranglehold on the Philly backfield. Elijah McGuire, RB, New York Jets ($4,900) – Playing from behind against an angry, vengeful Patriots squad, I expect either Josh McCown or Sam Darnold to rely more on their passing attack and less on their plodding rushing “attack” with Isaiah Crowell. Elijah McGuire has impressed in his two games since returning from IR, handling 19 touches for 124 total yards. With an expanded role Sunday, especially in the passing game (.5 PPR!!!! ), McGuire profiles as one of the sneakier DFS plays Sunday. T.Y. Hilton, WR, Indianapolis Colts ($7,500) – We looked in our RSJ crystal ball (no, it is not for sale) Week 11 and predicted a huge breakout for T.Y. Hilton. 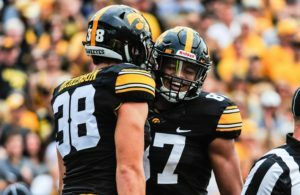 And, obviously, Hilton went right ahead and enjoyed his best game of the season catching all nine of his targets for 155 yards and two scores, one of which being the best tap dancing I have seen since Gene Kelly in Singin’ in the Rain. And while the matchup against the Dolphins against a voracious Dolphins secondary looks foreboding, Andrew Luck is playing on a different planet right now with 3+ touchdown passes in 7 straight games. Look for Luck and Hilton to continue the deep ball game as the Colts surge towards the playoffs. Julian Edelman, WR, New England Patriots ($7,400) – Who better to help get the Patriots offensive attack back on track than Julian Edelman? With Rob Gronkowski nursing weekly injuries, Josh Gordon looking lost on offense, and Chris Hogan doing his best Houdini impersonations, Edelman and James White continue to be the cogs that turn the Patriot machine. Tom Brady has target Edelman 10+ times each of the past three weeks, and Edelman has, in turn, provided two 100+ yard performances over that span. Look for Tom to exploit the middle of a struggling Jets defense as JE11 moves the chains. Tyler Boyd, WR, Cincinnati Bengals ($6,800) – With A.J. Green (toe) shelved the past two weeks, Tyler Boyd has looked like a shell of himself, catching just 7 of 15 targets for 136 yards the past two weeks. And with Green likely out against Sunday against Cleveland, Boyd once against looks primed for a large volume day. With his price plummeting, now is the time to strike and take advantage before Green returns to the Bengals lineup. Courtland Sutton, WR, Denver Broncos ($5,400) – With 50 or more receiving yards or a touchdown in 7 consecutive weeks, Courtland Sutton has provided solid weekly floor production operating as the WR2 against Emmanuel Sanders. Now if he could just put the yardage and touchdowns together, he could be a real cheap daily fantasy finds. Let’s hope that happens Sunday against a high-octane Steeler offense looking to hold onto its #2 seed in the AFC. George Kittle, TE, San Fransisco 49ers ($7,500) – Rankings first on San Fran in targets (71), receptions (70), and receiving yardage (775), George Kittle has found himself in that tier jussssssst below TE1’s Travis Kelce and Zach Ertz. His talents, skills, and upside are limitless, as shown by his ability to excel with three different starting quarterbacks this year. In a game with the highest game total Sunday (55) against a team allowing the most points per game and second most fantasy points to opposing tight ends, Kittle has real big upside as the top tight end play Sunday. Cameron Brate, TE, Tampa Bay Buccaneers ($4,400) – With Tampa placing TE O.J. Howard (foot, ankle) on injured reserve, Cameron Brate immediately steps into a very juicy position with his battery mate Jameis Winston back under center. To date, Howard had produced a solid 34-565-5 TD slash line this year, leading the Bucs (along with Mike Evans) with those 5 scores. With the tight end playing an integral role in a high-scoring, fast-paced offense, Brate finds himself as one of the best value plays Sunday. New England Patriots DST ($4,100) – The Patriots project as the second biggest favorite Sunday (9.5 points), so the erratic New England Patriots DST should have very little problems dismantling a Jets team that has averaged less than 10 points per game over its last three contests. Oh, and Josh McCown might be under center Sunday. 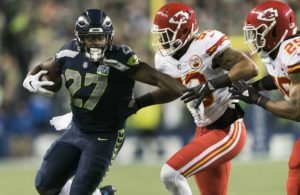 Seattle Seahawks DST ($3,200) – The Seattle Seahawks DST ranks 10th in sacks and 11th in takeaways this year, so they should be able to provide solid return on their dirt cheap price against a Carolina offense that has not scored over 21 points since Week 9. And that’s a wrap for Fanduel Week 12 analysis. Remember to always look at the matchups and Vegas totals, which are always telling, and do not be afraid to admit they know more than you, because they usually do. Until next time, good luck and don’t forget to tip me 10% of your earnings. Thanks in advance.